Among plant secondary metabolites, tannins represent one of the main groups. Historically, they were used to treat animal skin in order to produce leather, because tannins stabilize proteins in animal skin, thereby making it more durable. The precipitation of proteins by tannins is a key characteristic of tannins. Over time, more surprising abilities of these bioactive compounds were found increasing their significance for the food and medical industry due to their positive effects on human health. 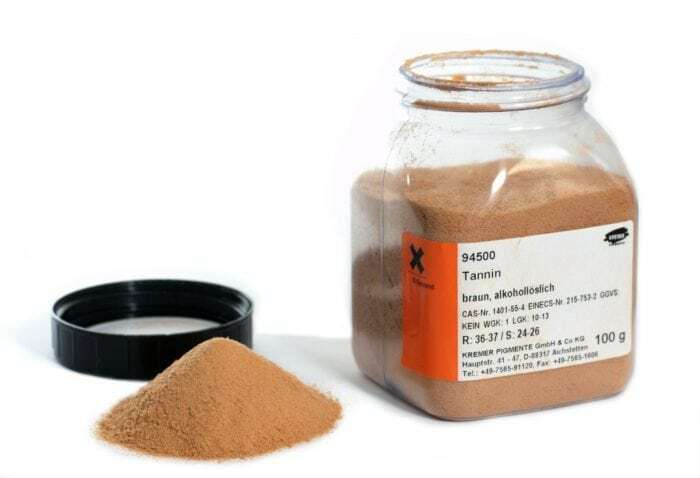 During the past years, scientists from Finland and Germany – the University of Helsinki, the University of Konstanz, and The Natural Resources Institute Finland, LUKE – have contributed novel insights to the chemistry of tannins. Belonging to the polyphenolic compounds in plants, tannins play key roles, for example, not only as a defense mechanism against herbivores but also as regulators of carbon and nutrient cycling in forest ecosystems via their influence on net nitrogen mineralization and nitrification as well as soil microbial community composition. In other words, tannins are involved in numerous interactions between plants and their environment. For the past decades, especially the tannin-protein interaction was studied extensively increasing the knowledge of tannin chemistry. Scientists from the Universities of Helsinki and Konstanz as well as LUKE have recently challenged the common paradigm underlying the tannin-protein interaction, especially the one between tannins and enzymes that the activity of enzymes – which catalyze biochemical reactions – is decreased in the presence of tannins. In a recent study, Adamczyk et al. explain a novel mechanism: Enzyme activity is not generally decreased in the presence of tannins, but rather depends on the concentration of tannins and could go both ways. Low concentrations of tannins caused changes in enzyme conformation thereby increasing its catalytic activity. In contrast, high concentrations of tannins show the opposite effect by decreasing the catalytic activity of enzymes. Furthermore, Adamczyk and colleagues also showed that tannins interact not only with proteins and peptides, but also with various other organic nitrogen compounds, such as arginine, nitrogen bases, polyamines, chitin, and chitosan. The findings on tannin-non-protein interactions published recently in the journal Soil Biology and Biochemistry lead the authors to further emphasize the importance of tannin chemistry. In conclusion, during the last half-century tannin research has increased steadily and fuelled the emergence of numerous studies contributing to the understanding of tannin chemistry. The novel insights presented by Adamczyk and colleagues in their recent original research article as well as two reviews on plant secondary metabolites show that tannins act as both inhibitors or activators of enzymes, which however strongly depends on the concentration of tannins present. The study by Adamczyk et al. highlights (1) that tannins precipitate not only proteins and peptides but also other organic nitrogen compounds, and (2) that other plant secondary metabolites could directly inhibit enzymes in a concentration-dependent manner, similar to tannins. All in all, the interest in tannin studies will continue to grow in the future due to the important role of these natural compounds with regard to human health and the food industry. Furthermore, their role in ecosystem functioning becomes increasingly more relevant, particularly due to their potential role in carbon cycling and how this is affected by climate change. This article is a compilation of work by Dr. Bartosz Adamczyk, PD Dr. Judy Simon, and others. A recent review on the topic, “Tannins and Their Complex Interaction with Different Organic Nitrogen Compounds and Enzymes: Old Paradigms versus Recent Advances” was published in the journal ChemistryOpen. The influence of tannins in ecosystem functioning with a particular focus on soil organic matter derived from plant litter is reviewed in “Plant secondary metabolites – missing pieces in the soil organic matter puzzle of boreal forests” in Soils. Bartosz Adamczyk is PhD amdadjunct professor at the Natural Resources Institute Finland (Luke) in the Helsinki, Finland. Judy Simon is a PD Dr. at the Universität Konstanz | Uni-Konstanz · Department of Biology. Simon's research consists of analyses of plant physiology, biology, and ecology.